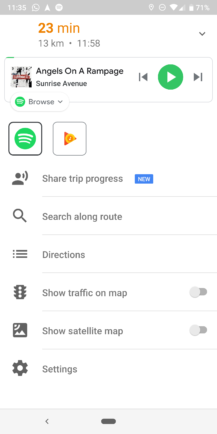 A few days ago, the Google Maps team announced a host of changes to its app, starting with a new Commute tab that groups driving and transit directions together, as well as a new media player integration while navigating. The changes have begun showing up now via a server-side update. We've spotted both features on Google Maps 9.88 beta, though it's possible you might see them on older versions of the app too. 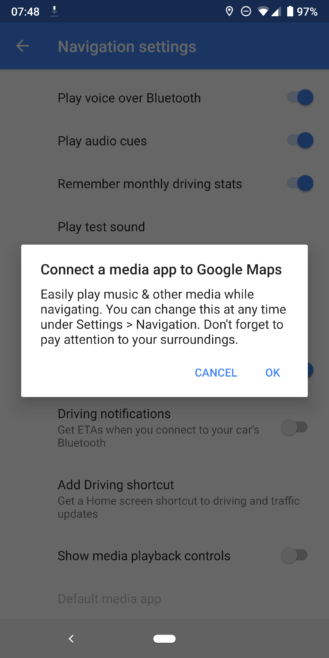 The media playback feature needs to be enabled under Maps' settings by going to Navigation settings and toggling on Show media playback controls. 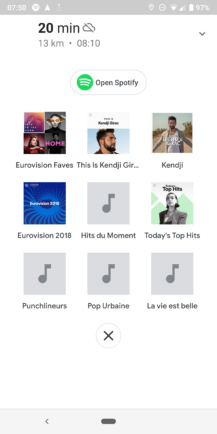 A pop-up appears with your compatible music apps. For now, Google Play Music, Spotify, and Apple Music are compatible, though we heard from on Apple Music user who isn't seeing it among the options. It's possible that integration isn't working yet. 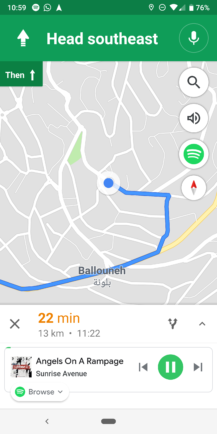 Once your choice is made and you've given Maps access to your music app of choice, you'll see a new icon while navigation is on, between the volume and compass. Tap it and the music player appears on the bottom of the screen with the album cover, song title and artist, playback controls, a progress bar, and a button that expands to browse your most recent playlists. You can go to the full app from there or collapse the menu again. You can also swipe up on the navigation step to reveal the trip progress screen and switch media apps. The screenshots above and below depict what this looks like for both Spotify and Google Play Music, respectively. 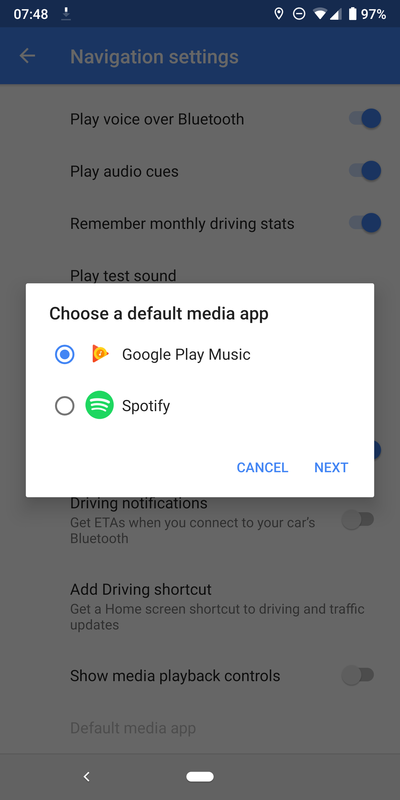 When we covered this announcement on Monday, there were many comments that lamented the music integration, saying that the notification shade is where media controls belong. If you're of that opinion, it's a good thing that you can turn this whole thing off. Personally though, I like it. Just this weekend I was using Maps and Spotify while my husband was driving and I remembered that Spotify had Waze integration, which led me to wish it also worked within Maps. 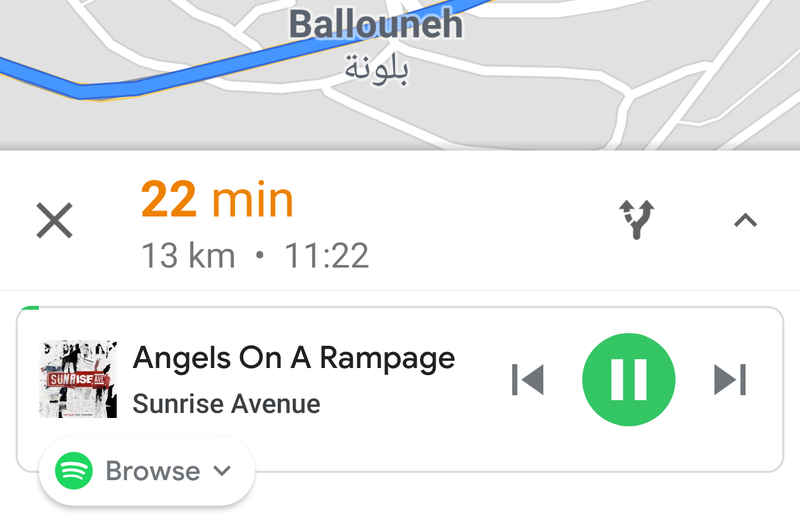 I prefer to simply control playback from the same screen as my navigation directions, instead of dropping the notification shade to do so. However, I would prefer if the choice of media apps wasn't as restrictive — Pocket Casts is all I want. 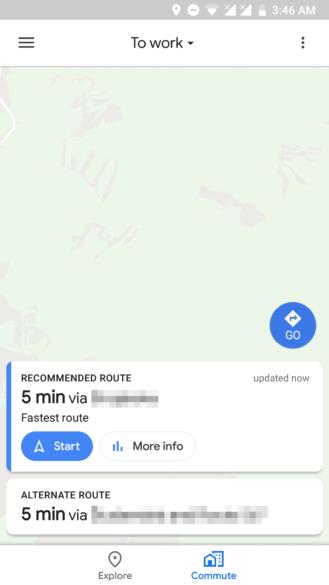 The second feature that's starting to show up in Maps is the Commute tab. I still don't see it on any of my devices, but we've received two tips about it, so it appears to be going out in batches. If you're running a relatively recent version of Google Maps, you should check and see if the new media playback controls and Commute tab are available to you. If not, you can update to version 9.88 beta, which we have on APK Mirror, and cross your fingers that these changes will soon appear.